In awe and silence and in fear . . . the old way comes to an end; the new way begins. But what is it that has concluded; and what has been instituted? A church, a way of life, hope, transformation? 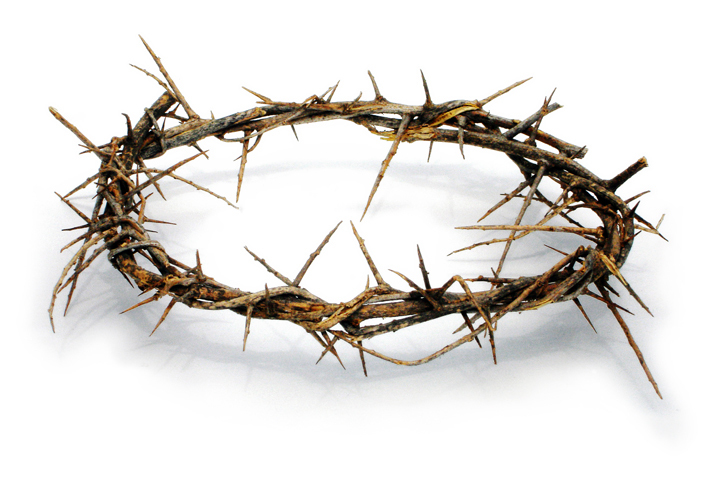 Soon we begin Holy Week, the time when we tell and re-tell, live and re-live the story of Jesus’ last days on earth. We hear the old eyewitness accounts that tell us Jesus has died. We know that he was buried in a borrowed tomb and that a few days later the tomb is found empty. Where have the guards gone? Where are the twelve who were known as the Apostles? 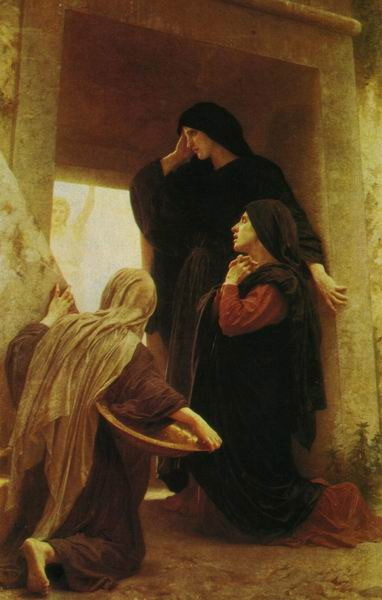 Why is it that only the women return to the tomb to finish the burial rite? They said nothing to anyone, for they were afraid. It appears to be the end. And yet . . . I am wondering – as I always do at this time of year – what I would have done had I lived two thousand years ago. What would I believe? What would I experience? Would I see Jesus’ death as the end of something? Would I see it as the beginning? Would I be one of those the Resurrected Christ chose to visit? And if I were to experience this visit . . . would I believe? And what would I believe? Each Holy Week as I sit listening and meditating on scripture the same sudden realization always washes over me. I have been visited by the Resurrected Christ and I have received miracles at his hand. I have been graced with Jesus’ hope and mercy. I have been to the tomb to find it empty and I have for a few moments thought that the beautiful truth I believe in is only a sham. And as quickly as that doubt rises it dissolves into nothingness. All fear is transformed into the warm glow of gratitude and peace. And I know once again that what appears empty is full, in Christ; what seems lost is gained, in Christ; and what looked like a sad conclusion is, in fact, the beautiful beginning of a new narrative, in Christ. Let us go out to tell all who will listen the Good News that the end is in truth the beginning . . . in Christ. A re-post from March 31, 2012. Senior, Donald, ed. THE CATHOLIC STUDY BIBLE. New York, Oxford University Press, 1990.94 & RG 417. Print. I have never noticed this before and now that I have, I cannot stop thinking about it. Light shines in the darkness for the upright . . . God knows that those who follow him, those try to enact his commandment of love, those who are merciful and full of compassion will inevitably be subjected to the darkness. They will be hounded by the wicked. They will have to struggle to get out from under the bushel basket where they have been hidden. Earlier this week my daughter and I were discussing how sad it is that once people begin to shine with God’s goodness an army of naysayers attempts to douse the light they produce. And yesterday in a meeting the theme appeared again: What do we do when those who prefer power, fame and money begin to overtake the righteous? We might turn to the Gospel and then reflect with Psalm 112. As always, we will answers when we seek them. We reflect on Matthew 10:34-42, Luke 14:26 and John 12:25. Jesus warns us that following him is difficult; he also tells us that we are well rewarded. Jesus reminds us that his followers will suffer; he also tells us that we will experience great joy. Jesus asks us if we are ready to follow; he also asks if we are ready to drink from the cup of salvation. Those who act in Christ are never bereft. They experience and share with others the great mercy God has bestowed upon them. Let us remember that when we choose to follow Christ we will find ourselves swallowed up by great darkness . . . yet we will not be alone . . . and we will be rescued. For all those times we speak although we are fearful . . . All goes well for those who conduct their affairs with justice. For all those times we step forward to be counted among the few . . . The just shall not fear an ill report. For all those times we act in the Gospel . . . They shall never be shaken. For all those times we are shattered and broken yet struggle to stand . . . The just will be remembered forever. For all those times we cry out for God’s help . . . The just shine through the darkness, a light for the upright. For all those times when discipleship separates us from those we love . . . Their descendents shall be mighty in the land. For all those times we are uncertain and full of doubt . . . The hearts of the just are tranquil, without fear. Let us join the ranks of the just, receive God’s blessing, and shine through the darkness with God’s light. Amen. A re-post from March 30, 2012. Several days ago we reflected on the meaning of our public image in the Book of Daniel; today with Sirach we might spend time with how this compares to our private life. The Irish culture holds an image of a man who is a street angel but a house devil . . . pleasant and amiable – even lovable – to his neighbors . . . while beating his wife and children behind closed doors. How many of us harbor devils inside that we do not show to the world? How do these devils slip into our lives without our knowing? We are advised by Jesus ben Sirach to bring our public and private lives into line with our covenant promise with Yahweh. In this book of wisdom, we are cautioned that we must be humble in our dealings with one another; we ought not seek out the high places at the table. We are warned to refrain from seeking work as a judge unless we have the strength to root out crime; otherwise we succumb to corruption and mar our integrity. We ought not flaunt our wisdom, our power, our wealth, our specialness in any way . . . for our pride will be our undoing. This is how humility arrives. We are also advised to steer clear of situations the catechism refers to as near occasions of sin: those times when we ourselves do not sin but come dangerously close to slipping over the precipice into evil. Standing by wordless as we watch malevolence occur without offering witness to injustice is not the way of the Lord. When we lack courage, we only need to look to God for strength. This is how fortitude arrives. We ought to pray in earnest and not hurry through prayer as this leaves room for a false sense of independence from God. We humble ourselves appropriately when we come before the Lord and so we ought to enter into prayerfulness with deliberation and patience so that we might all the better hear the word of God. This is how wisdom arrives. In private and in our family life, we need to continue to live with thoughtfulness, with intention. Treating servants well – or the people we meet in the mall, in the supermarket, in the gas station – leads us to treating all well. Honoring elders, respecting the living, remembering the dead. This is how piety arrives. Refrain from bartering for friends. Mourn with those who mourn. Steer clear of those who do not. Visit the sick. This is how compassion arrives. When we eliminate fear and pain from our lives by blocking them out and riding over these powerful emotions, we also eliminate important opportunities for learning the ways of God. We erase the opportunities for God to guide and protect us. When we petition God and thank him for his bounty, we indicate our understanding that we are his creatures. This is how faith arrives. When we balance our inner self with our outer self, we clear away the dark corners where house devils might lurk. Integrity finds a comfortable dwelling place within . . . and chases away these devils to make room for angels. This is how hope arrives. When we bring into focus our whole mind, our whole heart, our whole body and our whole soul to celebrate our union with God, we enter into his divinity. This is why the words of Jesus ben Sirach are so important to us today. With all your strength, love your Creator . . . for this is how love arrives. A re-post from March 29, 2012. I love this story because it is so indicative of how we humans behave. When we see something beautiful we want to capture it. When we feel something exhilarating we want it to possess it. When we witness something powerful we want to hold it forever. Peter, James and John see Jesus transformed, radiating brilliance. In Mark’s version (9:2-8) and in Luke’s story (9:28-36) we hear again about the brilliance of the whiteness, the flashing of light, God’s voice booming out that he is pleased with Jesus. We understand that Jesus holds a conversation with Elijah and Moses about his own exodus to come. Mark tells us that the apostles were frightened. The apostles suggest to Jesus that they erect tents; Lord, it is good that we are here. If you wish, I will make three tents here, one for you, one for Moses and one for Elijah. Luke adds about Peter: He did not know what he was saying. So many times when we witness a miracle we do not comprehend what is really happening. Our perspective is too narrow, our view too limited. We want to hold and keep the present beyond its purpose. We fear the future and regret the past. The present, we tell ourselves, is something we can control. And so we try to hold on to a transfiguration that is meant to be a transition to something new. We trust what we know . . . and we fear what we do not. I am amazed that God continues to accompany us when we are so tiny beside his greatness, so stingy beside his mercy, and so self-centered beside his generosity. I am thinking of a prayer I have just read in Phyllis Tickle’s THE DIVINE HOURS: PRAYERS FOR SPRINGTIME (255): “Almighty God, you know that we have no power in ourselves to help ourselves. Keep me both outwardly in my body and inwardly in my soul, that I might be defended from all adversities which may happen to the body, and from all evil thoughts that may assault and hurt the soul”. We want so much to draw out our happiness so that it might last forever. We yearn to capture serenity and hold it fast. We wish that sadness and loss were experiences we did not have to suffer; and when transfiguration comes we want to remain in it . . . not noticing that once we have been transformed we must go forth to transform the world. As we approach Holy Week and the miracle of Easter when Jesus suffered, died and rose again to bring us the gift of eternal life, let us follow Jesus along with James and Peter and John to the top of our own high mountain to experience the vision of dazzling whiteness and the gift of transfiguration; and let us celebrate. How glad and how grateful we must be that Jesus did not follow the suggestion of his friends and remain on the mountain forever in a state of bliss. How blessed and how graced are we that Jesus abides with us each day calling us to our own transfiguration. How good and how gracious is our God that he visits us – his little children – constantly and faithfully . . . to grant us miracles in our sorrow, light in our darkness, and peace in all our adversity. A re-post from March 28, 2012. Tickle, Phyllis. THE DIVINE HOURS: PRAYERS FOR SPRINGTIME. New York: Doubleday, 2001. Print. Today’s Noontime tells us all we need to know about integrity when in relationship with one another and with God. The Description of an Ideal Wife (26:1-18) falls just in the middle of this selection and we find it bracketed by descriptions of Wicked Versus Virtuous Women, and Dangers to Integrity and Friendship. Jesus Ben Sirach cannot be more specific in his description of what an ideal wife does in her household and in her relationships. Since we are each called to be the bride of the groom, Jesus, we might consider what this ode has to say to us. Our marital state, sexual orientation and gender do not matter. What does matter here is this: that we examine what it is that moves us, what calls us to passion of any kind – physical, mental, spiritual – and that we respond with integrity in every single relationship and every single place just as described in the image of the ideal wife in today’s reading. All of this reminds me of yesterday’s meditation in MAGNIFICAT. Clément continues by citing Origen (an early Egyptian Christian theologian who lived in Alexandria from 185 to 254 C.E). Origen has described a striking vision of the soul plumbing the depths of evil by experiencing the horror of excess; after actually dying, having journeyed through the infernal regions, it eventually realizes that evil has its limitation, that one can be surfeited with it to the point of utter boredom. Then God is revealed as alone inexhaustible, to whom everyone, even Satan, will turn in the end. We hope so. Perhaps in this way there is a purpose to pain and suffering – no matter how stark and how deep. Clément writes that when we enter into suffering with Christ, we discover something we never dared hope for, that our hellish autonomy has been breached by sin, death and despair, that these have opened us to the mercy of the living God. In our twenty-first century relativistic world in which we value autonomy above all else – even if it is hellish – we might read today’s lesson and smirk, thinking that the images of the ideal wife are quaint and outdated. But they are not. They are as valid and as prescient and as imperative today as on the day they were written. We fool ourselves when we think we can out-run, out-smart or out-maneuver evil. No matter how comfortable, how connected and how clever we are, we find – in the end – that we have only out-maneuvered ourselves. We have gotten no further. We have not held onto the fleeting sensations of pleasure. Seeking pleasure is not seeking God, it is seeking after satisfaction. Pleasure is good in that it gives us an immediate sense of happiness and the impetus to search for true joy; but the happiness brought by pleasure does not last. Searching for meaning in life will not give us that which our souls seek . . . a true and intense relationship with something that will never go away, never fade. Only God has the capacity to love this well and this constantly. Looking for ourselves in excesses, abstentions, infatuations or addictions does not bring us true serenity and joy; it does not bring us to a true understanding of who we are and what we mean. Only in God do we find ourselves. And only in giving ourselves over to God as the ideal wife gives herself over to her vocation, do we enter into his bliss. A re-post from March 27, 2012. Cameron, Peter John, Rev., ed. “Meditation of the Day.” MAGNIFICAT. 12 March 2009. Print. If ever we are in doubt as to how to serve as a role model when in community, Paul’s letters to Timothy are a mine of wealth. Regarding slavery, the rights of women and children, and respect due to non-heterosexuals, we understand the thinking of the times. We take all of this in its ancient context and shift it to the twenty-first century, adding all that has been revealed to us over the millennia about these topics. Despite the change in science and understanding, this is still good advice for us to consider . . . and it is the only way to build community . . . the only way to build Christ’s kingdom. Call everyone to unity through diversity. Remove contempt and profanity from our thinking. Walk away from silly myths. Demonstrate trustworthiness by our actions. Express respect for all in everything we think, do and say. Persevere, work on ourselves, mark progress. Nurture the gift of self that we bring to the world. Paul advises Timothy that the best way to form and build community is by persisting in performing these simple tasks which come together in such a big way. We are to look for the joy which awaits . . . usually hidden in some conflict. This all reminds me of a verse from today’s Gospel (John 5:1-16) when Jesus asks the crippled man at the pool of Bethesda: Do you want to be well? Despite the fact that Jesus knows all our unspoken thoughts, he asks this man if he wishes to be new? This particular man replies in the affirmative, and he is healed. This having happened on a Sabbath, this man must work to defend his cure. This causes conflict. Usually, as Paul tells Timothy, celebration is accompanied by grief . . . and this is something we must expect; however, our sorrow may turn into dancing if we follow the advice given to Timothy. This is often difficult to understand. Do you want to be well? Jesus asks us this frequently, yet are we prepared to take up our mat and walk, despite the pain? We, like Timothy with Paul and like the man in today’s Gospel . . . are free to answer either yes or no. Do you want to be well? Paul calls Timothy to ask this question of his fledging congregation, despite the conflict. Do you want to be well? We are likewise called to ask this question of one another, to seek common ground amidst our differences and look for unity, despite the barriers. Do you want to be well? We are called to rise to this challenge, despite the fact that we often wish to wallow for awhile in our tears. Today we pray: Paul describes to Timothy and to us how we might allow God to enter our lives in order that we become a beacon for the community. When we hear Christ’s voice how will we reply to his call? Do we want to be well? Let us shed our paralysis and persist in outrageous dreams and hopes. Do we want to be well? Let us transform our addictions and self-satisfaction through the fire of the conflicts we are willing to share. Do we want to be well? Let us redeem broken promises with forgiveness. Do we want to be well? Let us turn from our idols to the one true God. Do we want to be well? Let us be willing to allow God to exchange our sorrow for joy. Do we want to be well? Yes! Adapted from a reflection posted on March 26, 2019. Spiritual reading is often seen as a desperate last step in a series of pleas to God. Many of us see the contemplation of the sacred word as a last resort or a last worried petition for God’s attention. The reality is that we constantly have God’s attention and need do nothing special for God to “notice” us. We are well-loved and well-attended although there are times when we feel this may not be so. Contemplative prayer is often seen as something we do when we can find the time. It is seen as the work of the consecrated religious or the spiritually gifted. The truth is that each of us has the capacity to consider and reflect on God’s goodness. We need no special talent and no special tools. We each have a God spot that scientists have identified and in fact there are likely “several areas of the brain that form the biological foundations of religious belief”. (“Independent”) We are well-equipped and well-blessed with this gift from God. Today is the Fifth Sunday of Lent, a time when we approach Holy Week and the miracle of Easter. Let us spend some time today with just a bit of scripture if we do not have time for a chapter or a book. Let us spend some time today with the process of lectio divina even if for only twenty minutes or so. Let us spend some time today with the Creator who loves us and tends to us. This Creator longs to commune with us, yearns to touch is in special ways, wants to bless us and grace with all manner of gifts. Let us give a bit of time today to God in a bit of reading, a bit of meditation, and a bit of communication. We will find that the time we spend will come back to us in the form of patience, wisdom, and a newly-found peace. “Belief and the brain’s ‘God spot’ .” Independent. 10 March 2009: n. page. Web. 25 Mar. 2012. <http://www.independent.co.uk/news/science/belief-and-the-brains-god-spot-1641022.html&gt;. I am thinking of all the negative things that happen to Daniel which he calmly allows God to transform into good – his exile, his imprisonment, his gift as an interpreter of dreams which may be used against him . . . because of envy on the part of the king’s magicians. He knows that the very prediction he is called to announce may bring about his execution. Daniel withstands all of this – and even more when we read the entire story – by placing his trust, hope, faith and love in God . . . and by allowing God to work his wonderful will with those who are opposed to him, to the Jewish people and to their God. I am reminded of Psalm 37: Commit your life to the Lord, trust in him and he will act, so that your justice break forth like the light, your cause like the noon-day sun. Daniel does not let fear of failure or a reluctance to commit to God or to obey God to deter him from his path of fidelity. Be still before the Lord and wait in patience; do not fret at the man who prospers; a man who makes evil plots to bring down the needy and the poor. Daniel does not abandon God or allow the world and its worries to lure him away from following God. Calm your anger and forget your rage; do not fret, it only leads to evil. For those who do evil perish; the patient shall inherit the land. Daniel abides with God just as God abides with him. Daniel waits upon the wisdom of the Lord, knowing that for God time is eternal. A little longer – and the wicked shall have gone. Daniel knows that the only true emotion, the only lasting force is God’s love for us. It is greater than anything we can imagine. It is bolder, more persistent and persevering than anyone we know. It is the only energy that matters . . . this love and peace of God that comes to us in the form of the man, Christ. Look at his place, he is not there. But the humble shall own the land and enjoy the fullness of peace. Daniel makes a public statement when he expresses his love of God; and as we read his story we may join him to enter into our own public statement about our intensely personal relationship with God. And so we might ask ourselves: Do we love God enough to make a public statement about our fidelity to him? For the humble shall own the land . . . and enjoy the fullness of peace. Amen. A re-post from March 23, 2012.